The internet of things is so complex that some enterprises would rather turn to one vendor to determine the business case for an IoT deployment, design the system, roll it out, and operate it as a service. At least that’s what IBM believes. The company’s combining several of its products and services into what it calls the IoT Solutions Practice. The move, announced Monday, is designed so customers can find all of IBM’s IoT offerings in one place. Turning IoT into a service isn’t a new idea. Consultancies like Accenture and carriers like Verizon, among others, say they can reduce the complexity of adopting these systems and making them pay for themselves. IBM says it alone has all the pieces to do the job from end to end. Many customers will combine those pieces with components from other vendors and service providers, so the company makes sure its offerings work with those of others. In fact, IBM has partnerships with several other enterprise IoT players, including AT&T and Cisco Systems. But end-to-end expertise is IBM’s big sales pitch, and it's one that some customers may buy into. Complexity is up there with security as something that enterprises find hard about IoT, industry analysts say. At the heart of the company’s offering is the Watson IoT Platform, which combines analytics, security, and other capabilities, including blockchain technology for authentication in some cases. The platform lets customers take advantage of a set of APIs (application programming interfaces), IBM’s SoftLayer cloud infrastructure, and all the analytical smarts that make up the Watson computing universe. Add consulting and ongoing support, and IBM can be a one-stop solution, the company says. Implementing IoT may have broad implications for a business beyond just deployment projects and changes in technology, said Jesus Mantas, general manager for IBM’s business consulting practice. For example, the way a company monitors its assets can change from a “pull” to a “push” process, he said. Part of what IBM can do for companies adopting IoT is help them through the business implications of the changes, he said. The IoT Solutions Practice applies to a broad range of industries, says IBM, which will first target automotive, electronics, industrial products, insurance, retail, transportation, and buildings. More than 1,500 experts at nine IoT centers around the world are dedicated to the practice. 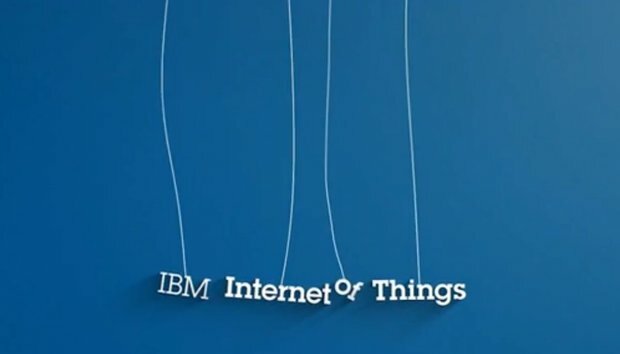 To help enterprises work on how they’ll use IoT, IBM also offers free access to the Watson IoT Platform, said Brett Greenstein, IBM’s vice president for the platform. “They can use anything we have in our cloud, effectively, for free,” Greenstein said. As long as customer operations stay below a certain level, around a few dozen devices, they can keep the free access until they’re ready to move up to production scale.